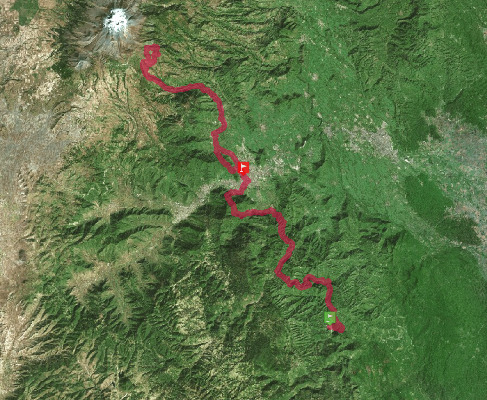 Sky Ultra Trail that begins in Zongolica at 1,227 masl and reaches the highest point at Pico de Orizaba volcano about 3,657 masl and finish in Orizaba to 1,150 masl with an accumulated difference D+ 8,087 m and D-7,972m. In words of last year finishers: "The ultra trail I will never forgot because of the challenge." Arnulfo Sánchez; What I take is an unforgettable experience. I had journeyed ultra marathons but this one has been the hardest! “ Leonel Cuevas.